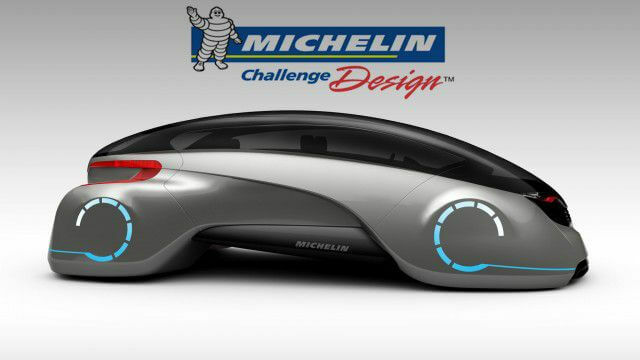 Michelin announced the 14 winners of the global 2016 Michelin Challenge Design. The design submission from Albania, Canada, Bahrain, Colombia, India, Indonesia, Italy, Mexico, Poland, South Korea, Taiwan, United Kingdom and the United States were nominated by the distinguished jury comprising of top auto designers and industry experts. The 14 designs were picked from the 2016 entries that were chosen from more than 875 participants from 68 countries. Since the initiation of the Michelin Challenge Design 15 years ago, it has received a total of 8,268 entries from 121 countries. The first place was claimed by Rajshekhar Dass, Abu Huraira Shaikh, Sunny Duseja, Joji Isaac, Saksham Karunakar and Tajeshwar Kaul from Pune for the design entry “Google Community Vehicle”. The second spot was taken by Edgar Andres and Sarmiento Garcia from Bogota, Colombia for their design entry “Arriero”. WooSung Lee and Chan Yeop Jeong from Gyeongsan, South Korea took the third spot for their design entry “Bamboo Recumbent”. One representative from each of the three winning teams will be invited to attend the North American International Auto Show (NAIAS). All three teams will also be recognised during Michelin’s annual Private Designer’s Reception. In January, the designs of all 14 winners will be displayed at the 2016 NAIAS in Detroit. Additionally, all the members of the winning teams are invited to become a member of the exclusive online community of Michelin Challenge Design Winners and Jury.